A website for daily weather and other tourist information about Peru. WordPress website with an entirely customized theme and customized weather display. 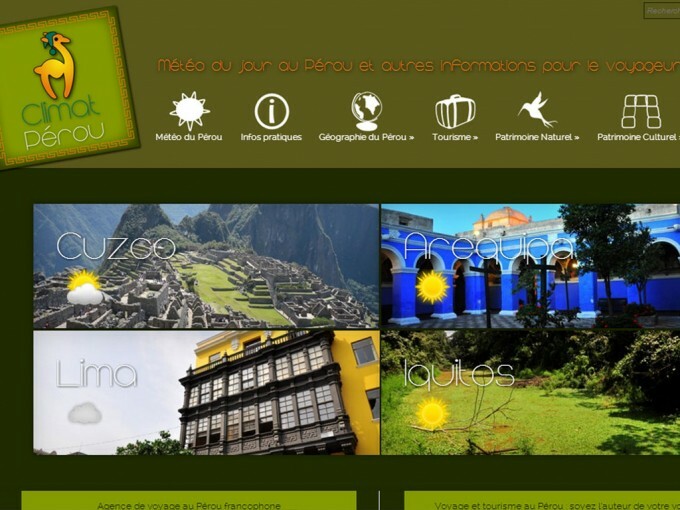 Designed for a french travel agency in Peru – Terres Péruviennes – its purpose is to serve as an extra access to their main website, as webmarketting analysis shows “climat Perou” are frequently looked up keywords.